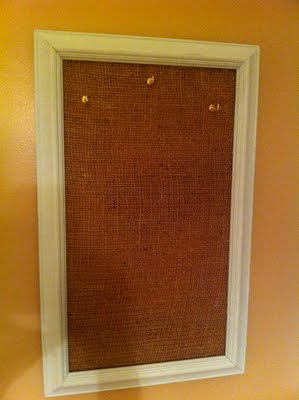 This is a framed burlap/cork board jewelry holder I made that only cost a couple bucks. I started with a thrift store frame, any size will do. 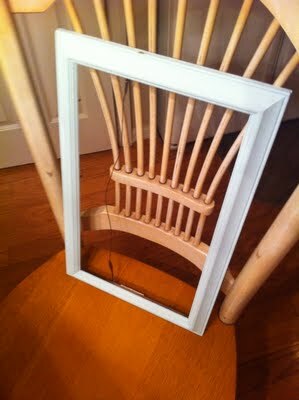 I painted the frame this light turquoise. 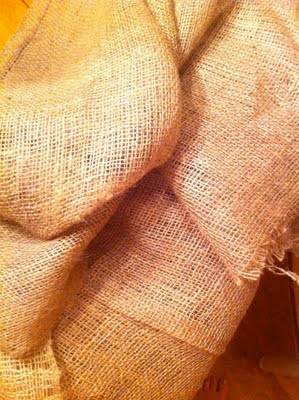 This is the burlap I used, it was under $1 for this small amount at Joann Fabrics. 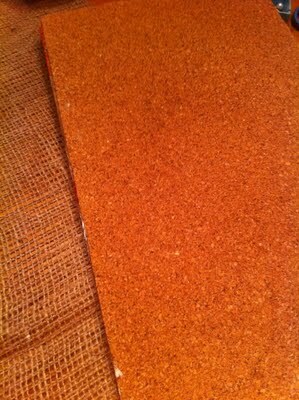 Also from Joann's is this cork board that comes in a roll. 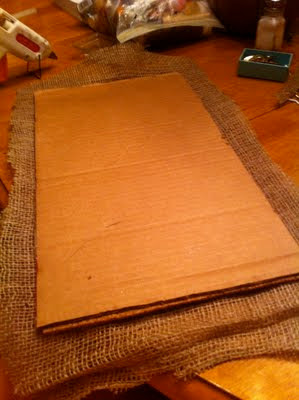 I hot glued the cork to a piece of cardboard that fit the frame. 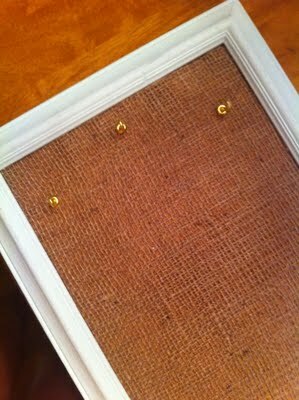 I used cork board so I would be able to push my post earrings into the cork since they can't hang like dangle earrings. 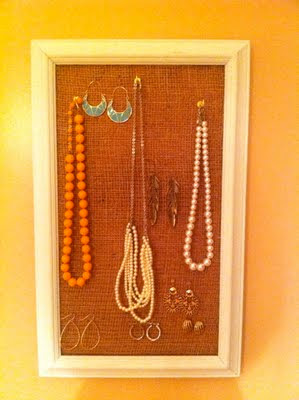 The cork board is optional. 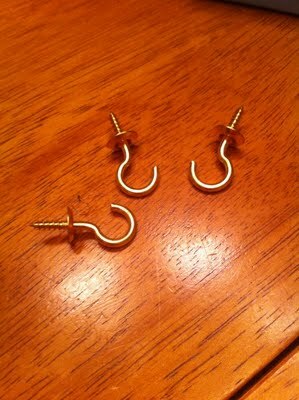 I found some hooks in my garage to hang my necklaces on! Next, I used a hot glue gun to adhere the burlap to the card board/ cork board. After, I pushed the hooks into the cork board. All done & ready for jewelry! 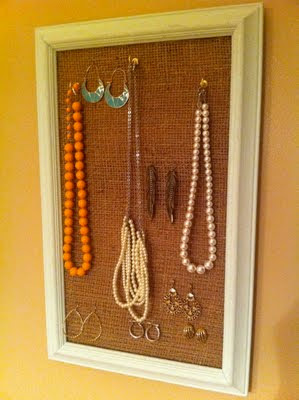 Great use of picture frames and multiple uses for you jewelry, it's a good idea for sure!